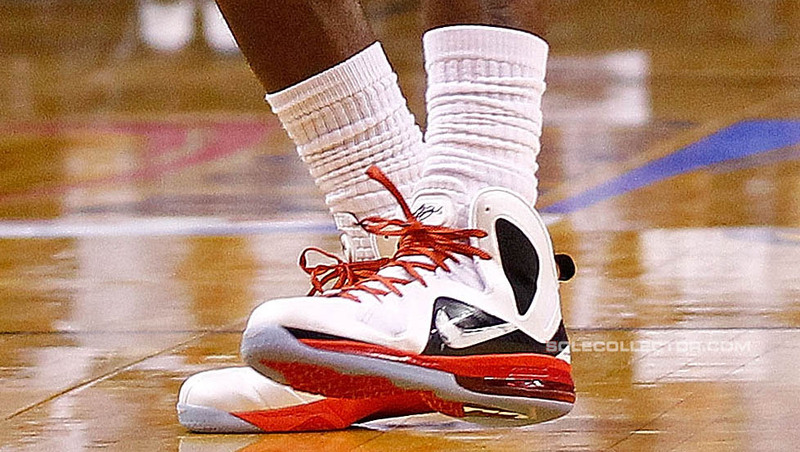 LeBron wears another Elite PE in Miami's 104-94 victory over the Knicks. 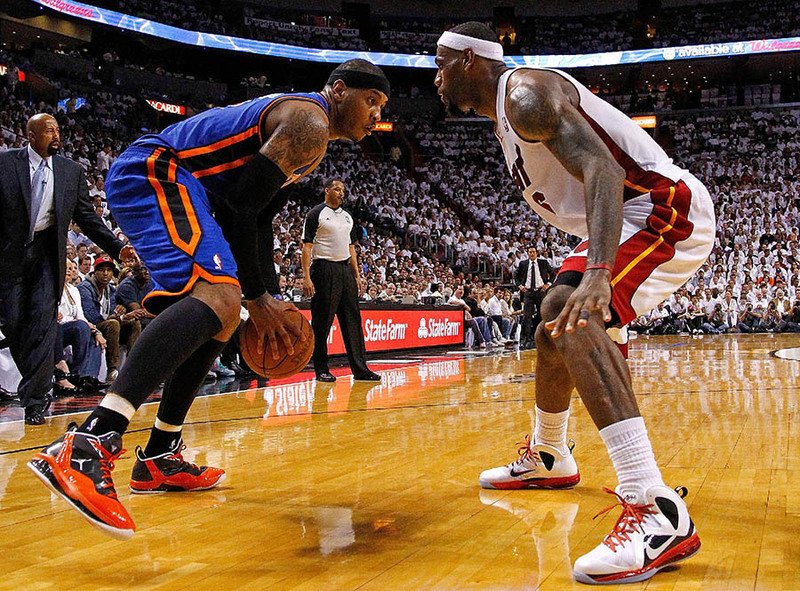 Thus far, the Miami Heat's quest for an NBA Championship has gone as planned, following the team's 104-94 victory over the New York Knicks in Game 2. The game was more competitive than the opener, but the Heat outscored the Knicks in every quarter to secure their second double-digit win of the series. Though his shot wasn't falling like it did in Game 1, LeBron supplemented his 19 points with 7 rebounds, 9 assists and 2 steals. Dwyane Wade led the way with 25 points. 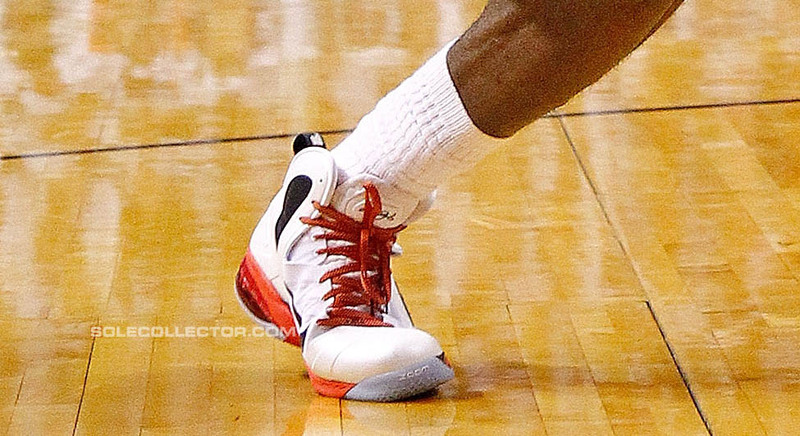 As he did in Game 1, LeBron broke out a new Player Exclusive colorway of his Elite Series Nike LeBron 9. 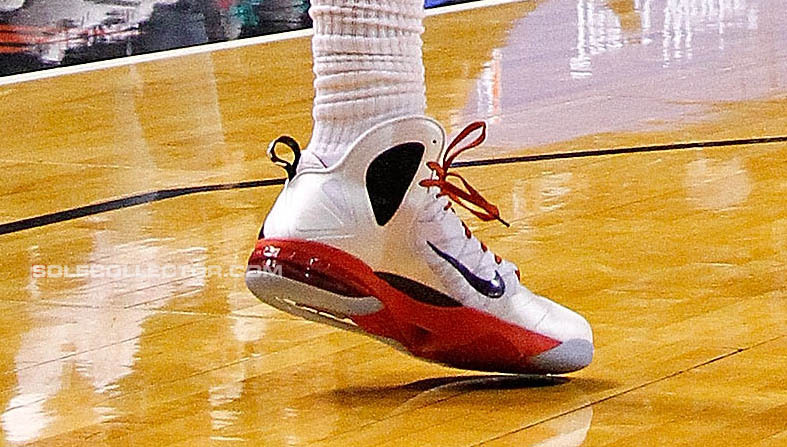 The home-themed shoe sports a predominantly white Hyperfuse-constructed synthetic upper, helped by black on the ankle padding, pull-tab, medial Swoosh branding and carbon fiber wing. 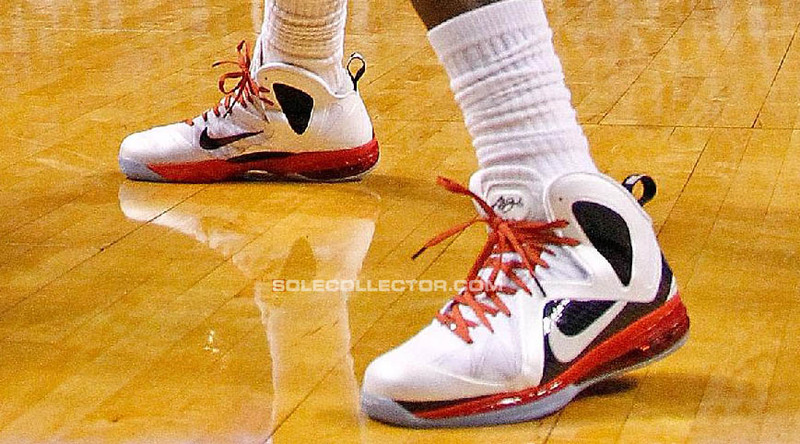 Red takes care of the laces and midsole, while a translucent outsole finishes off the look below. Two games, two different Elite PEs. 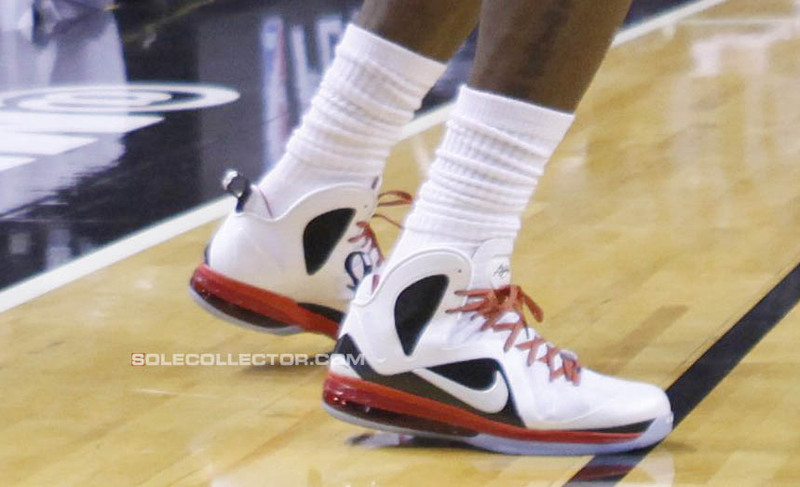 Let's see if LeBron laces up a new road colorway when the Heat play at Madison Square Garden on Thursday.